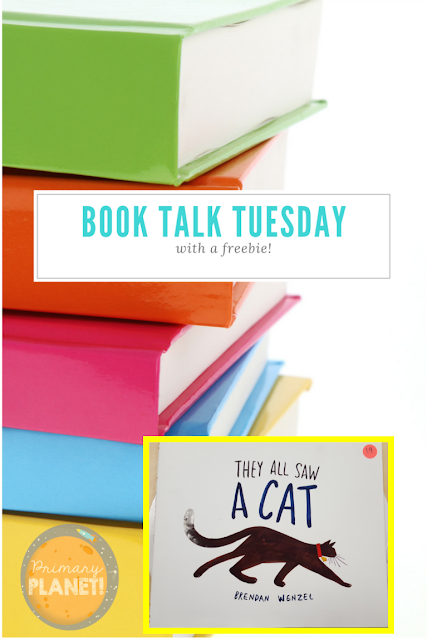 Book Talk Tuesday: They all Saw a Cat | Primary Planet! Welcome back to another Book Talk Tuesday! This lovely little book is all about perspective! As you go through the pages, the cat doesn't change, you just get to see the cat from the eyes of the other characters in the story. 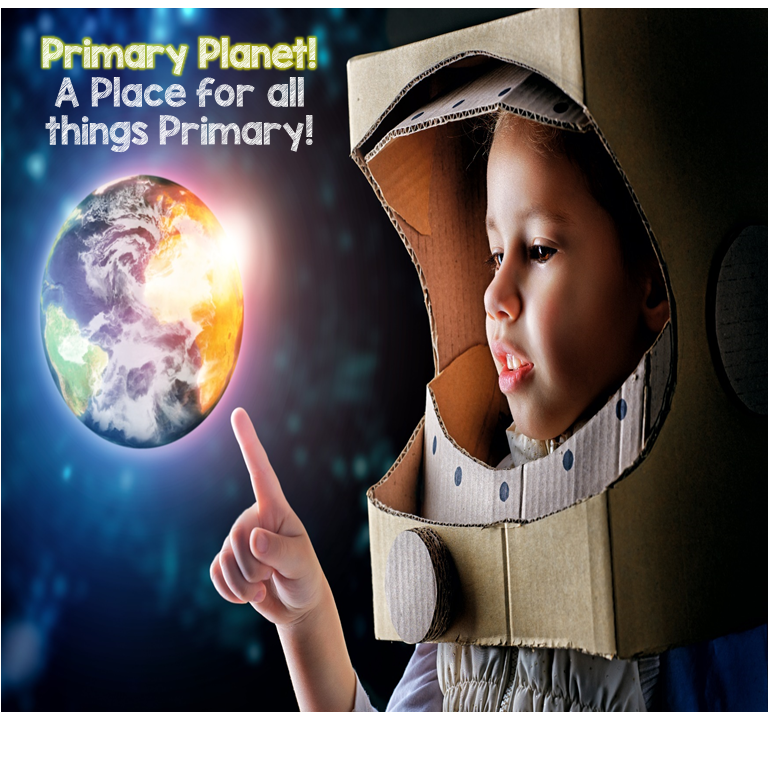 This book is a wonderful way to introduce the concept of perspective to your students. Each character in the story who sees the cat sees him from their perspective! 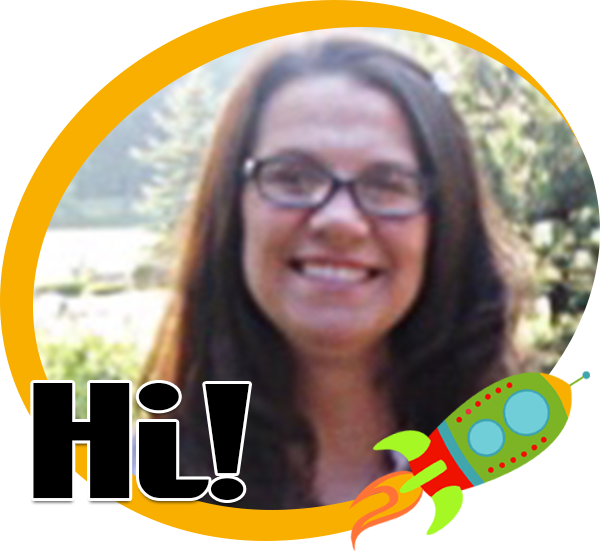 You need to check out this book trailer! The cat is adorable...from most perspectives! 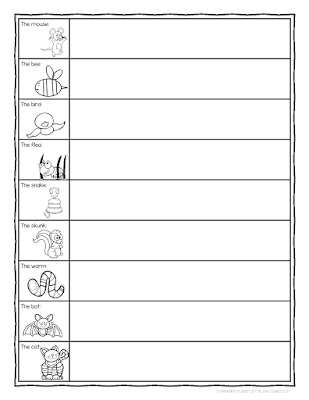 Before reading the story, I have the kiddos draw a picture of a cat and talk to their partners about what they drew. Did they draw a cat from the top? From the side? From the front or back? What perspective did they draw the cat from? Talk about how your perspective is how one sees things. Discuss with your kiddos how people see things differently because of where they are, and how they feel about things. Is your picture different if you love cats? Don't like cats? Are allergic to cats? 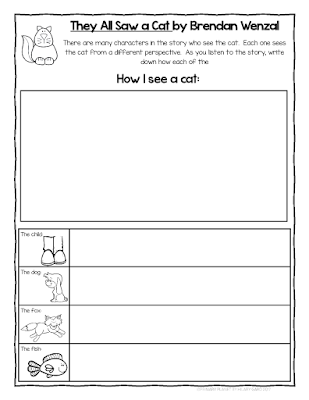 Then, as you read the story, stop and have the kiddos write or draw how each of the characters "see" or perceive the cat. When you are finished reading the book, have the conversation about why each of the characters sees the cat the way they do! This would also be a great segue way into having empathy and for others when conflicts occur. Everyone has a different way of seeing things and there is no right or wrong way, just different. This is book would make a great addition to any classroom library! As promised! Here is your freebie! I would love to know! Is there a book you would like to see me talk about on Book Talk Tuesday?